FBN’s Kennedy says that former presidential candidate Hillary Clinton is holding the Democratic Party hostage. 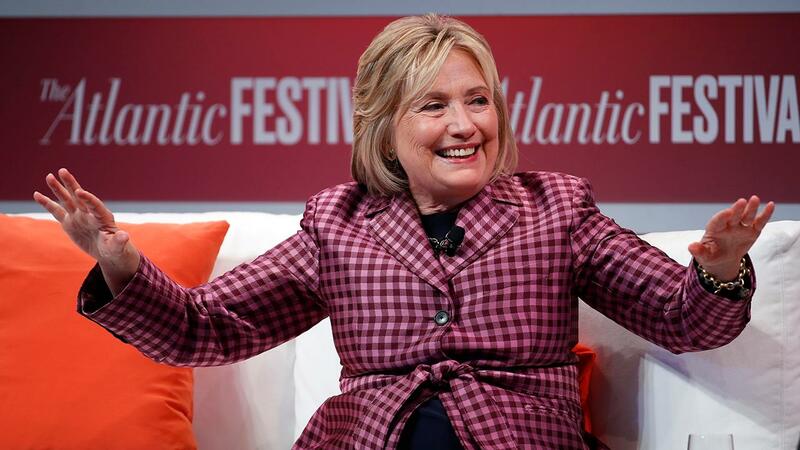 The democrats have a crowded field for 2020, and although there might be up to 3 dozen choices in early plump primaries, the once solidly left media is turning up its nose at curdled Hillary. A New York Times editorial board member named Michelle Cottle writes Hillary&apos;s latest missteps are a huge distraction right before the midterms. She makes the case that HRC&apos;s one/two punch of destroying civility and saying Monica Lewinsky was basically &apos;"askin for it" because she was an adult have been a gift to frothing republicans who are eager to tie this anvil to donkey necks so they have to own the one-woman gaffe machine. Every time a potential 2020 go getter like Joe Biden flirts with another run, Hillary pops out of the woodwork like a Dickens figment to scare sense back into democrats. Even though Elizabeth Warren shot herself in the foot with an arrow, Hillary is still holding the party hostage and her ego won&apos;t allow any other seasoned septuagenarian to take her rightful crown. If you thought the republican debate stage was cozy in 2016, just wait til you see what 2020 has in store as they dust off Michael Bloomberg, Bernie Sanders, Martin O&apos;Malley, Kamala Harris, Corey Booker, Gavin Newsome, Eric Garcetti, Michael Avenatti, Eric Holder, Tim Ryan and Tom Steyer; and that&apos;s the short list! It&apos;s a shallow intellectual bench, but that&apos;s not going to keep these mediocre souls from looking around, sizing up the competition and declaring themselves the tallest dwarf. For as many clowns as there are in this circus, it&apos;s still a party without a leader and a message, and if anyone is going to feast on the chaos it&apos;s the guy who won the job by turning the White House into a big top. Hillary won&apos;t even get the nomination this time around, but it&apos;ll be fun to see her fall off the high wire.